No other Scoliosis Treatment is near the Success Rate Achieved by the Spinecor Scoliosis Brace. Advanced Spinal Rehabilitation is an an accredited SPINECOR PROVIDER. Treatment for scoliosis will never be the same. That’s because now you can avoid surgery and bulky, rigid braces with the SpineCor flexible SpineCor brace. 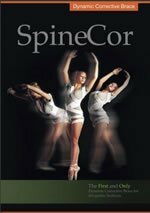 SpineCor is proven to treat scoliosis in children and adults. And, since the scoliosis brace is fitted by certified scoliosis doctors, you can be confident that you will get quality treatment. If you have been seeking an alternative to surgery and outdated rigid braces, you owe it to yourself to contact us. Submit a request in the form below or call us at (801) 444-1230. The SpineCor® Pain Relief Back Brace is a neuro-musculo-skeletal rehabilitation tool for treating abnormal spinal loading and abnormal posture; it is not a simple back support brace. Corrective movements gently guide the posture and spinal alignment in an optimal direction. The elastic corrective bands act to resist the body’s movement back to the abnormal position. This constant “correction, relaxation, correction, relaxation” is in reality a corrective postural exercise. The brace is able to put a patient’s body through 10’s of 1000’s of repetitions per day instead of the 10-50 repetitions that are typical with other rehabilitation techniques. It creates dynamic spinal offloading and neuromuscular rehabilitation with the ultimate goal of neuromuscular integration.